offices, restaurants, doctor clinics, hotels, theaters and churches. • Window Treatments Cleaning: draperies, curtains, blinds, etc. • Discount Carpet Cleaning is fully licensed, bonded, and insured for your protection. 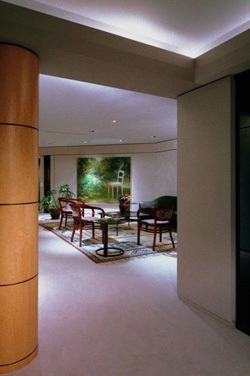 Businesses spend millions of dollars on carpeting, upholstery, leather, and oriental and area rugs. Poor maintenance can adversely affect that professional image, waste thousands of dollars in cleaning costs, and accelerate the need for a costly and time consuming replacement. Discount Carpet Cleaning in Orlando understands the need to maintain a healthy indoor working environment, but also to extend the life of your expensive carpets, rugs, fabrics, and leather investments. Many offices, retail establishments, and other commercial areas count on Discount Carpet Cleaning in Orlando to provide solutions to their maintenance needs. We understand how carpets and fabrics wear and stain and we know that there are many different types of fibers and textiles in the commercial and office environments. Cleaning these fabrics requires state-of-the-art equipment designed to use the lowest possible amount of moisture. With faster drying times, your business can continue running with little or no disruption. Our carefully selected and screened, trustworthy, highly trained professional technicians provide your business with the most advanced carpet and upholstery cleaning methods available for your commercial carpets, rugs, fabrics, and leather in the Central Florida area. Discount Carpet Cleaning of Orlando will carefully analyze your facility and customize a program that makes your carpeting, rugs, upholstery, and leather look cleaner, last longer, and stay healthier. Then, our professionals will provide these services to you at your convenience. Office Carpet Cleaning: Our Service Area.